5/19/2010 – The team of World Championship challenger Veselin Topalov reportedly spent a large sum of money to secure a 112 core computer cluster running at mind boggling speed. "How did the reigning champion counter this awesome hardware advantage," we asked. Anand answered this question in a candid and very detailed interview broadcast on Monday Playchess. He used a human cluster! The interview with World Champion Vishy Anand was broadcast on Monday at 17:00h on the chess server Playchess, where premium users could watch it free of charge. 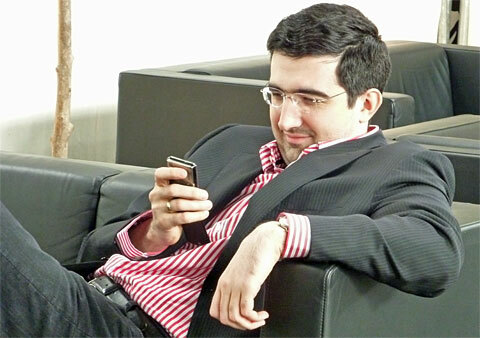 Frederic Friedel: Vishy, you are back home now, safe and sound, you won the world championship. A first stupid question: how do you feel? Viswanathan Anand: It’s surreal. Obviously I feel happy, but if you read the news, that the volcano is going off again, that kind of feels bizarre. Other than that I feel fine, I’m even starting to sleep better – a couple of days after the match I’d keep waking up at seven, but now it’s okay. How’s your wife, by the way. She suffered probably more than you? Yes, she was trying to keep most of the details from us, during the trip, but of course sitting in the same van with two mobile phones it is almost impossible to do that. By the last day it wasn’t clear who was suffering more, her or me. It’s tough – at least the seconds get to stop seeing me for a while, but when I woke up I was really tense and she could see that and it affected her as well. I would like to ask you a few things about your seconds and your preparation. Tell us how it worked before the match started. You had the same team as the last time? Before we come to that, do these four seconds have special tasks, for example is one a specialist in certain areas? 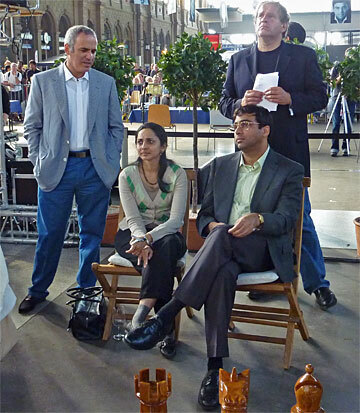 The Anand Team in Sofia: standing in the front row are GM Peter Heine Nielsen, Eric van Reem, GM Rustam Kasimdzhanov, Hans Walter Schmitt, Vishy Anand, Aruna Anand, GM Surya Ganguly, GM Radoslaw Wojtaszek. In the second row on the left: Christian Bossert, Mark Lefler. All of the GM seconds worked with Anand in his 2008 match against Vladimir Kramnik. I think in the beginning we tried all this, before Bonn, to sit and map out everyone’s function and what everyone does best. But now I think that everyone gives every problem to everyone, so that as many eyes go over it as possible. Of course there are things that people tend to do well. Generally Heine’s job is to keep track of everyone else – this was done maybe because I knew he was the only guy who wouldn’t say no, so I dumped that one on him. 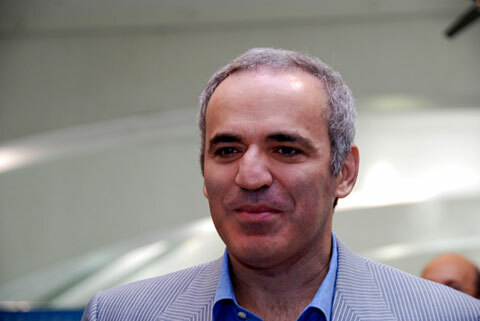 The others, well every once in a while Rustam – and this is, how should I put it, a task he has taken upon himself – he will decide that he has to wreck the preparation. He’ll say “I don’t like the look of it.” Then he’ll go off for a while and come back and say: “Okay, we have identified some problems, so I feel much better.”´Radek we tease that he can never stop cleaning something. He’ll check something, but to an absurd degree. Surya does a version of that as well, but you can always sort of distract him. Who is the computer person there? Well, all of us are. Peter, I guess, does a bit more than the others. His screen just looks like a dashboard or a pilot’s cockpit. But we are all heavily computer dependent. Okay, these were you usual seconds, the usual suspects. But you had some other people working with you in the phase before the match started. This is a small section of the interview you can watch and hear on YouTube or this video stream. Well, by December it was clear that Magnus was going to be number one in the world, and I wasn’t really sure that I should expect his help again – he had already helped me before Bonn and Mexico. I assumed he was not going to get in touch. But then we had this funny situation in India when some journalist asked me who are your seconds. I said that is a secret, but I can tell you one name: it is Nielsen. Of course he published the next day that this one name was Carlsen. I guess he heard “sen” and he heard “second”, he went home and googled *.sen and Carlsen came up. 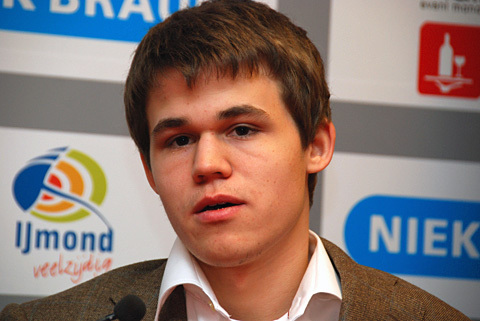 It was funny that Carlsen was outed before he was actually in the team. But sometime in March he got in touch with us, and said that he would be happy to help for a couple of days. We decided he would come after his tournament in Nice. Basically I had him as a sparring partner. We did check some openings together, but the basic idea was that I would get to play a lot with him. Very few people can simulate a real tournament situation like Magnus can. We played a lot of blitz, and I felt good, because I was able to test a lot of areas I was unfamiliar with before. With Magnus you can test almost any position, because he can play almost any position, and play it reasonably well. In that sense his practical skills are very helpful. I thought the nicest bit was the last day, when we finished, had a nice dinner, and I told him I will take you to the airport tomorrow when you wake up. At some point he started making this very un-Carlsen-like speech, something like “I had a wonderful time, I really enjoyed working with you, I’m sure you will play well, and good luck and everything,” and then he finished with “or shall we skip all this crap.” I said yes, no problem. I thought that was cute. He stayed in touch a little bit – basically he is always in touch with PH. I owe him a bit. As I said he came for a couple of days before Mexico and Bonn. I think if he qualifies for the next final he should come and train me for that as well. You know it is possible that he will qualify, and then…? Well, we are in uncharted territory here. Let’s not get ahead of ourselves. But I thought that farewell was really cute. That was Magnus. Did you have anyone else? You sent him your preparation?? That shows a lot of trust. Garry told me it was 21 or 31 questions. Yes, PH was really disciplined in the end. We sent him a bunch of questions, and a couple of days later we went through it over Skype. So you were talking to him on Skype? So he was sending me smilies and so on, and it was quite cute. Yes, I was bouncing between my wife’s accounts and my account, and so he was sending her smilies as well. But the nice thing about Garry was I could feel him sitting opposite me over a board again. Every time he saw something in my repertoire – I mean he has even learnt to be a bit diplomatic. There were some things where he didn’t know what to say, he looked at some of the positions we had planned and some of the lines to justify it, and he started breathing heavily, you could hear him on the loudspeaker. I could just feel Garry sitting there, huffing and puffing a bit again. But it was very nice. There were many things he confirmed – he for instance said go ahead with the Catalan, things like that. It gives a bit of confidence. And definitely Garry is someone who had good insight into his opponents. That was very helpful. He was so into this. He would call before every game, after every important move, he’d call and tell me that he had just spoken to you – like the biggest fan you’ve ever had. Garry did get in touch a couple of times during the match. He was almost in training mode. After game eight he gave me a lecture on opposite coloured bishop endings, and after game nine as well. Very, very sweet of him, and I really appreciate that. That was funny. I think it was after game three: Vladimir called me after midnight and started lecturing me, very intensely, what you should be doing, what you shouldn’t be doing, you shouldn’t play this, okay you got away with it once, but don’t do it again, the endgame is terrible. He was dictating stuff to me. So I said why don’t you talk to him? He’s in Baku and you are in Sofia. It’s the wonder of Skype: I just put you guys together. I think we did this two days later, because we decided not to confront you early in the morning just before you played a game. Afterwards you spoke to him a number of times? That was the first game? …right, the first game, the Grunfeld, and that should be a lesson to me. I explained it to him, that it was, as most people guessed, simply a lapse of memory, and that Kf7 was supposed to come a move later. Still, probably he has a point. His openings are ridiculously good, so maybe it is good to stick to them. So he was sharing his knowledge with you? Very much so. He actually started participating actively. He was also very understanding – he knew I would go to sleep once in a while, so he was happily speaking to the other team members as well, especially Rustam. They started getting in touch with each other and he gave us quite a few heavy-duty ideas, so that was nice. Actually he got in touch consistently over the next few days, and I cannot think of anyone who was more relieved than him when I stopped playing the Elista ending. He said “it’s an awful ending, why do you keep defending it every day?” I said well, when you played it, it looked cast-iron. Maybe that is like all his stuff. Vlady’s humour is the trickiest to explain. He has this dry humour. After one of the white games of which I was particularly proud I came back and found a Skype message from Vlady saying “Ah, so you managed to equalise with white!” Basically you get this kind of dry wit from him. It’s quite uplifting. His help was actually priceless. That pretty much wraps up the list of seconds. What about the baby grandmaster? So you are going to out me on him as well? Okay. Anish also did a couple of days of training with me. It was very similar to what I was doing with Magnus – I got to test a lot of things. There were a lot of areas I had no practical experience with, like the Catalan which I was playing almost the first time, the Elista ending and so on. Anish also sat and went through that. Do you know, on the evening before the last game he called me and said “I’ve been thinking for ten whole minutes and now I know what he’s going to play: the Queen’s Gambit Declined, Lasker Variation!” Then he squealed on the server when it happened: “I got it right!” So you had a very nice crowd around you? Yes, my human cluster was actually fairly impressive. 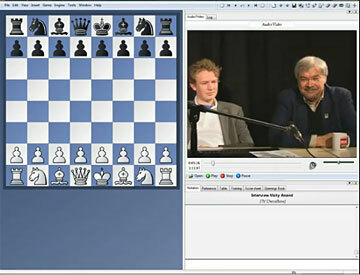 The full interview is available for members of Playchess in the Premium Videos section. 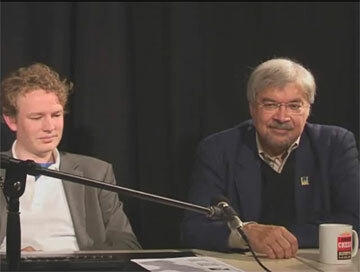 It is free for all Premium members – regular members need to have 50 ducats on their account in order to watch the 70-minute interview, which also contains extensive discussions between GM Jan Gustafsson and Vishy Anand on the course of the match.